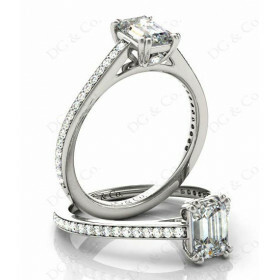 Emerald Cut Four Claw Trilogy Diamond Engagement Ring. 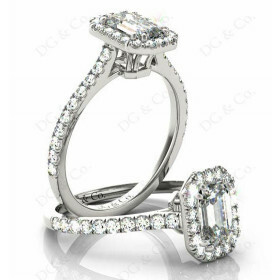 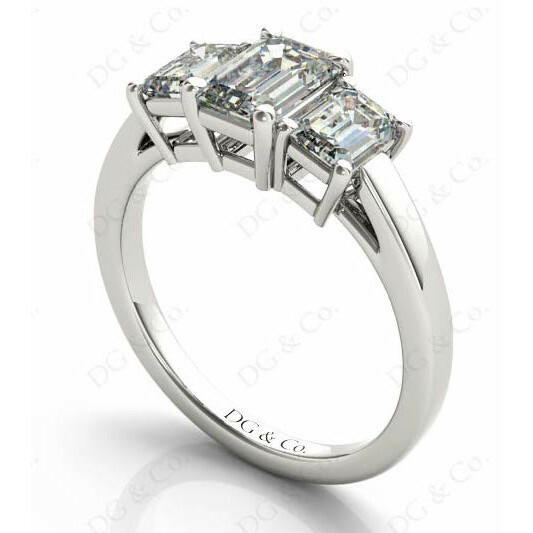 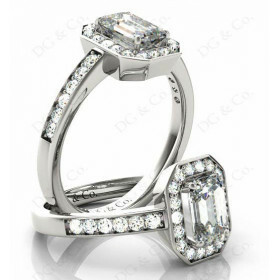 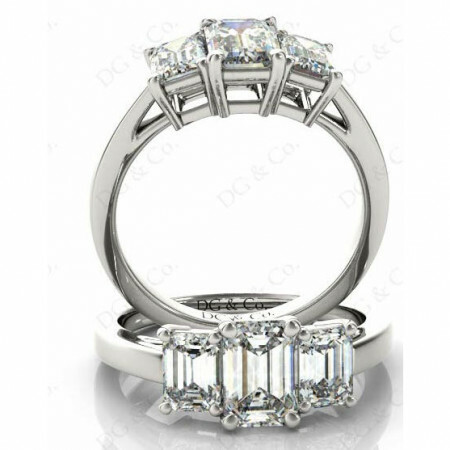 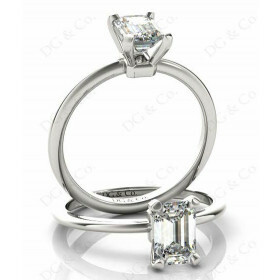 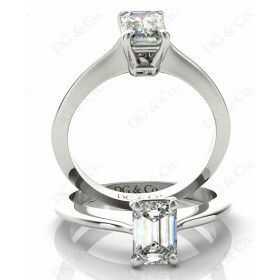 Three-stone engagement ring with three Emerald cut diamonds in four claw settings with a square band. 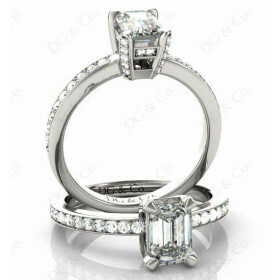 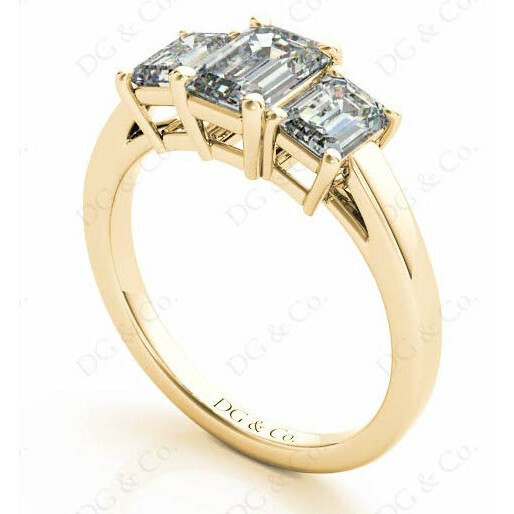 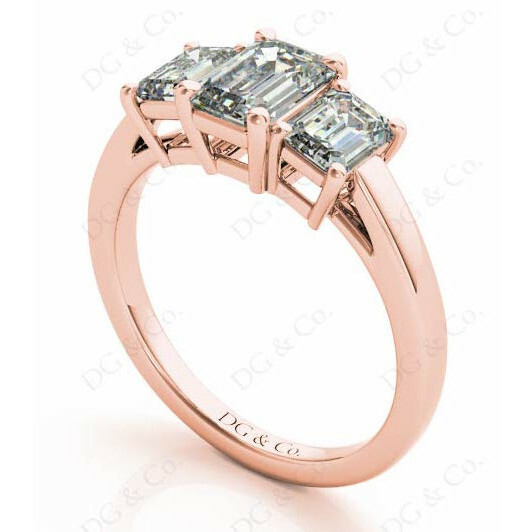 You're reviewing: Emerald Cut Four Claw Trilogy Diamond Engagement Ring.